I have to admit, I was very excited to hear the 2015 oral appliance guidelines being presented at this years AADSM meeting in Seattle. However, I was expecting something a little clearer. After all, we went from having no guidelines where pretty well all MD’s thought oral appliances were the equivalent of witchcraft, to the 1995 guidelines that CLEARLY indicated oral appliances for snoring and mild sleep apnea, to the 2006 guidelines that CLEARLY indicted oral appliances for snoring, mild and moderate sleep apnea. Now what, sitting there I was being told this was good but what I heard did not excite me, I didn’t hear what I thought I was going to hear. Instead, I was left confused. However, I realized that a lot of work went into writing the new guidelines, by very intelligent people at that. So, perhaps my confusion stemmed from my expectations and hopes rather than from what the guidelines were stating. Let’s take a look in straight forward English at what the guidelines say. It’s good news, but it requires everyone doing the right thing! Obviously, the literature continues to robustly support the use of Oral Appliances to manage OSA. A finding I found interesting was that although there has been a great deal of effort to establish factors that predict success with an oral appliance, to date, there is no overwhelming support in the literature for any one method. So, there is work to be done in this area. Another interesting and favorable literature finding was support for patient preference, suggesting that the sleep physician should consider patient preference for Oral Appliance therapy Vs. CPAP before prescribing therapy. 1. Oral Appliances are recommended for Primary Snoring for patients who fail conservative measures (such as weight loss, positional therapy, and avoiding alcohol) and request further treatment. (As opposed to no therapy). 2. When an oral appliance is prescribed by a sleep physician for management of OSA, a qualified dentist should use a custom, titratable appliance. Once again, I wish this were clearer, we know the “snoring” category belongs to Dentistry, but what’s going on with OSA? It almost seems like they went backward and took away mild and moderate sleep apnea! But, that’s not the case. 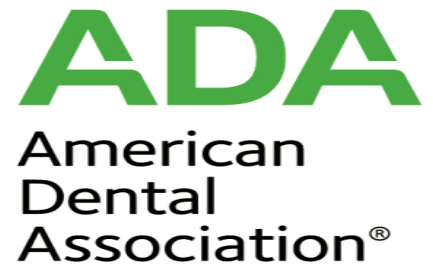 In essence, an oral appliance can now be considered for all levels of OSA severity (mild, moderate and severe), if the patient fails or refuses CPAP, or even if they simply prefer an Oral Appliance to CPAP. The subtle but meaningful difference from the 2006 guidelines is the “patient preference” portion. So, now that we understand exactly what the new guidelines mean, it will be up to us to help the physicians hear about them and help them understand what they mean. After all, maintaining the status quo is the default position for most people and these new guidelines shake things up for everyone. Everyone will have to change their paradigm to apply these new guidelines, and the lack of SPECIFIC guidance as to when Oral Appliances are indicated as first line therapy requires clinicians “Doing The Right Thing”. As Sleep Disorders Dentists we will have to learn to speak to physicians with confidence about what these guidelines mean and of course that starts by having an intimate understanding of them. Here’s to Doing The Right Thing! Newer PostWhat do Periodontal Disease and Snoring have in Common?